September 2005: Cape Town, from Table Mountain. 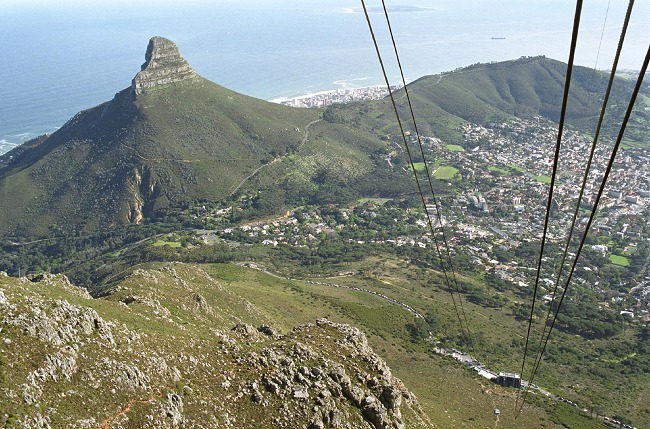 A precipitous ride up in a cable car brings breathtaking views of the city. Lion's Head on the left of the picture seems high when seen from the waterfront; from the lofty heights of Table Mountain, a pimple.